A career as a commercial pilot is well within your grasp. Not only did you complete ground school, but you also got through Systems Integration Training and Full-Flight Simulator Training. You didn’t stop there, though, as you went on to take a flight training program from an FAA-certified organization. Your career is about to take off, both figuratively and literally. However, prior to becoming a commercial pilot, you must get past the interview. With intense competition for each position, the last thing you want to do is go in overconfident and underprepared. At Alliance Aviation, we understand your passion for flight. Our team will do everything in our power to help you turn that passion into a career. 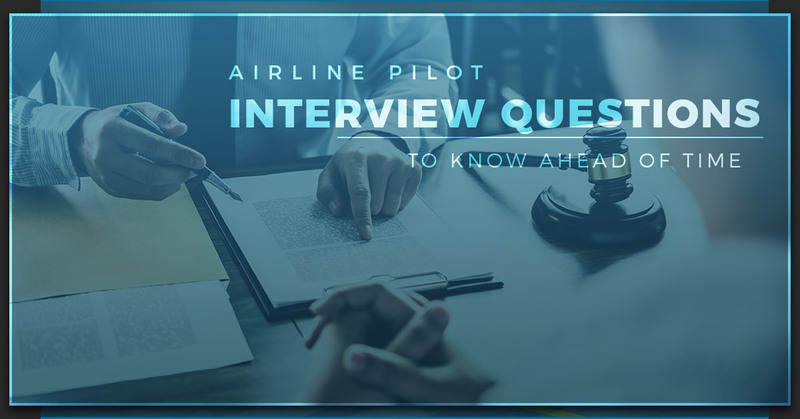 Keep reading for several airline pilot interview questions worth knowing ahead of time. What’s the typical day of a pilot? Maybe you’ve grown accustomed to a 9 to 5 workday in your career. Keep in mind, though, that pilots experience very different days because of the variety of schedules, destinations, and job demands. Once you land a gig in the aviation world, be prepared to work early morning, afternoon, and/or overnight shifts. Regular responsibilities include making preflight preparations and inspections, completing the necessary performance calculations, and getting an updated weather briefing. Rarely are two days the same for a pilot. It won’t hurt to say something along those lines during your interview. You may only need to spend a few years as a first officer before being promoted to captain. Until then, it’s imperative to go above and beyond in terms of your job responsibilities. First officers are expected to be on time, learn and adapt quickly, follow standard operating procedures, and prevent mistakes. What future challenges might the airline face? This is a big one. The interviewer will want to see if you’re well-versed in the airline industry as a whole. Before the big day, read up on future airline challenges such as impending new technology, customer interactions, and outdated aircraft, just to name a few. Let’s take a step back for a moment. Before you can land an interview with an airline, you must go through the necessary commercial pilot training. This is where Alliance Aviation comes into play. At Alliance Aviation, we’re just as passionate about flight as you are. Those who enroll in our flight training programs are guaranteed access to the industry’s best instruction from professional, devoted educators who have been there and done that. What specifically sets our aviation academy apart from the rest? For one thing, nowhere else will you find such extensive Boeing 737 training. We invite you to learn more about our Type Rating 737NG FAA Initial, 737NG FAA Prior Experience or CCQ, and 737NG “61.58 Recurrent PC” courses. For your convenience, Alliance Aviation also offers an eight-day ATP-CTP training program. Thanks to Alliance, you’ll get all the training you need to qualify for the exam, pass the test, and, of course, fly commercial planes for a living. Contact our commercial pilot training school today!